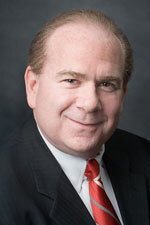 Alan H. Perzley is a partner at Garfunkel Wild, P.C., which he joined in 2003. He is a member of the firm’s Finance and Real Estate, Business, Health Care and Personal Services and Estate Planning practice groups, advising clients on a variety of business, real estate, regulatory, transactional and estate planning matters. Mr. Perzley specializes in corporate law, health care law, trusts and estates law, commercial real estate and real estate finance. Mr. Perzley represents real estate developers and investors, from the land acquisition phase, through land use development, including construction and environmental issues, and financing. He also represents landlords and tenants in commercial leasing matters for office, retail and warehouse space, and advises small to medium sized businesses in corporate, insurance, employment and business matters. In addition, Mr. Perzley represents borrowers in transactions from credit facilities with the United States Small Business Administration to multi-million dollar bond financings with the New Jersey Economic Development Authority. He has also represented banks and private lenders in connection with real estate finance and asset-based lending and equipment leasing transactions. Mr. Perzley’s health care practice includes the representation of physicians, physician practice groups, nursing homes, assisted living facilities, adult medical day care centers, medical office buildings and ambulatory surgery centers. He is also experienced in the areas of medical and long-term care facility licensing, guardianship, insurance reimbursement and contract law. Mr. Perzley received his B.A., with distinction, from the University of Virginia in 1977 and his J.D. from Seton Hall University School of Law in 1982. During law school he interned for the late Hon. Clarkson S. Fisher, Chief Judge, U.S.D.C.N.J., and was a member of the Seton Hall Law Moot Court Board. Mr. Perzley is a member of the American Bar Association, New Jersey Bar Association and the Bergen County Bar Association. He is also a member of the Health and Hospital Law, Real Estate, Environmental Law and Business Law Committees of the New Jersey State Bar Association. Mr. Perzley is admitted to practice in New Jersey, New York, the U.S. District Court of New Jersey and the United States Supreme Court. Mr. Perzley is a member and former President of the Fair Lawn Community School Advisory Council, a founding member of the Hudson/Bergen Inn of Transactional Counsel, past Bergen County Chairman of the National Eagle Scout Association, Trustee of the New Jersey Business Network, Treasurer of the Fair Lawn Jewish Center Men’s Progress Club and a member of the Board of Directors of the Fair Lawn Community Center.